In the recent times, there has been a lot of hype created around content marketing. Blog posts have shown us the way that social media is largely dependent on good content. Evidently, numerous books have been written keeping this agenda in mind. Hence it makes things very clear that content is the fuel for good social media marketing. Why only social media marketing, it is vitally important for any kind of marketing. For making things clearer in your mind, for any television strategy, the commercial that you flash is very important just as the advertisement is very important for print strategy. In spite of all this, as social media comes free of cost, we find people taking content for granted and ignoring the importance too. The success of social media propaganda depends largely on the content. It is very vital to put effort and thought behind whatever you say. The content that comes forward is what makes the difference when you are considering the success of social media marketing. As social media has become an integral part of our lives, we must lend some thought and keep aside some time for content too as it will help in the betterment of any agenda that we undertake. Even though we tend to be obsessed with the fan or follower counts, we must pay heed to the content that we are putting up too. You must keep in mind that solid content marketing strategy is not as important as merely posting on Facebook or in Twitter. It is very important in supporting search engine marketing as well as branding and positioning. This is a time that is based on permission as far as marketing is concerned. Here, brands have to add value before the customers can pay attention to the same. If you dwell deeper into this concept, you will realize that this value is none other than content. You have to stress on the point that the content should be provided at the right time and in the exact format that the consumers want. The format should be easy digestible for them. If your content is doing this, you are on the right track. Our friends at Wishpond have created this amazing infographic which shows how companies are using content marketing to and how consumers interact with it. The content strategy that you are using can be simple like a single execution for example CDC Zombie Apocalypse or it can be a comprehensive one like microsite including the content that is frequently updated. You should keep this point in mind that it does not matter what kind of strategy that you are using, if you are planning it well with an apt content, your way to success is clear. The first thing that you must be well versed with is the understanding of content marketing. Though you find yourself preoccupied with the goals related to driving sales and growing your business but you must keep in mind that all this is on a broader level. The first or the primary level is that you create content which is meaningful and specific. This is the primary thing that should be on your list and is you can do this well, the rest will be automatically taken care of. 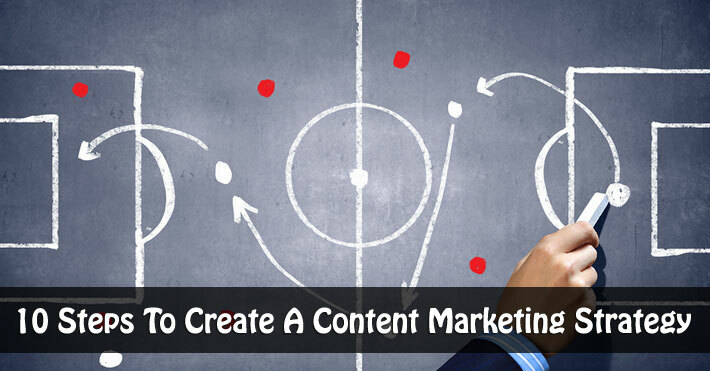 You must be able to define the main aim behind the content in specific manner. Step 2: Who do you want to reach? With the correct purpose of content in your mind, you must also make sure that you know who your audiences are. When you define your audience well, you will get the key to solid content strategy. You must make it a point to know your audience well. Learn also to define the demographics, psychographics, etc. you should also be able to map the behavior of your audience too. This knowledge will help you in the long run. A trigger is defined as an event which starts with someone seeking out information online. For example, you just do not search for information on diabetes out of the blue. There has to be a reason or an event behind this online search. There is an event behind every online search which initiates a search. You must be able to map these triggers. When you start understanding these triggers, you will be able plan a content strategy that hits the nail on its head. Step 4: What is the editorial strategy? Editorial strategy is a vital key that determines the success of any brand. Sadly, this aspect of marketing is always taken for granted and overlooked as if it does not even exist. Though many businesses are a pro at one-liners, when they have to describe their business in content, they fail miserably. It is due to lack of any clear personality. You must be very clear with the values, tones as well as the voice of your content. Determining the right tone for your marketing strategy is very important. You must choose one that helps in maximizing your business objectives and literally speaks to your audience and the kind that the audience can relate to. If you are clear in the personality aspect and tone of your content that the audience can easily relate to the brand and feels connected. Don’t skip out on creating an editorial calendar. Most businesses don’t have an editorial calendar for their content marketing campaigns, and it affects them badly. An editorial calendar will help you to be organized and save your time in the long run. It will also reduce the risk of missing a step in your content marketing plan. Step 5: What content should you create? The next step involves choosing the content which you want to feature. The creation plan of content is very important and should include various aspects like topics, messages and themes. If you are planning or looking forward to a good content strategy then you should do your homework well. This includes thorough market and landscape research along with a digging into discussion forums, search, Twitter and blogs. This will help you understand where lays the interest of your audience. 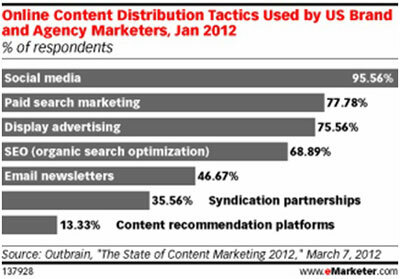 Take this market research by Outbrain featured on eMarketer which throws light on the types of the content that they wish to plan to create in the upcoming year. It should surprise you to know that video took the first rank while blog posts followed by articles and slideshows were close next. You must try to bring audience desires and brand objective closer. The content that you feature should engage the audience and make them feel connected to the main objective. Step 6: What forms should your content take? If you have a clear picture in mind as to what kind of content that you wish to create then things will become very clear. The next step involves that you determine the format of your content. The options that you have in front of you are video, photos, slideshow, articles, webinars, blog posts, live chat or even a download/eBook/whitepaper. You can choose any one of them but your choice should have a solid reason behind it; it should be based on the objectives, target audience knowledge, landscape analysis, etc. The format that you choose should be the most suitable and the one that yields maximum results. Step 7: How do you make it better and more creative? This step should be a part of every campaign, be it digital or others. Now that you are ready with the basic idea that includes the content and its format, you should consider making it more creative. The idea should become bigger and more creative with thought and consideration. You can use attractive titles, brainstorming positioning and good execution to make the content of your blog stand out. All this will add an extra edge to your content. Step 8: How will the content be created? This is the most obvious step of all. With this idea, you must decide on the details like what, who and when. These are very important details without which you cannot proceed. Step 9: How will the content be promoted or syndicated? This final step should never be outlook if the success of your campaign is in your mind. Even if your content is good, it will not bring in the desired output because you need to lace it with a good promotion plan as well as syndication. For doing this, you need to take the help of media here. You have the options like earned, paid and owned. Social networks should also be used as a platform for spreading the message. You must also make it a point to integrate the powerful tool of social media sharing in your campaign. This should not be done as an afterthought but as a mandatory chore which you must do. Integrating the social media sharing into your content design is the best thing that you can do for the promotion of your campaign. It gives the required exposure to your content which is an added advantage and which will reap good results for you. Don’t forget about niche social media sites. Here, the above mentioned study also throws light on the shared tactics of distribution that are applied by the marketers. Here, earned, paid and owned media outlets are a part of the pie too. You must give content planning ample time and thought so that the strategy hits the bull’s eye and you reap good results. Step 10: How to measure the results of a content marketing campaign? Okay, your content marketing campaign has been deployed. Now it’s time to start measuring. Of course, results measurement is a continuous process, but you can start it right away. Measure your results against the benchmarks recorded for your established goals, but also look at trends and other metrics. You may be surprised to see the positive affects a quality content piece that’s well distributed and promoted can have on your website and online presence. Last but not the least a superb SlideShare presentation by Rand Fishkin, I can’t stop myself from sharing this with you. Content marketing can be extremely beneficial for your business if it is done correctly, and if you consider the above points when developing your strategy. 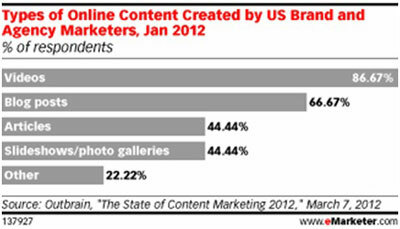 What content marketing strategy do you employ for your business? Share your tips and suggestions in the comments below.